Most UK financial firms look set to be able to escape some of the strict rules aimed at curbing bankers' bonuses, fresh City watchdog rules suggest. The Financial Services Authority said its remuneration code was aligned to rules agreed by the EU's Committee of European Banking Supervisors (CEBS). But only the biggest banks must comply with all the guidelines, the FSA said. 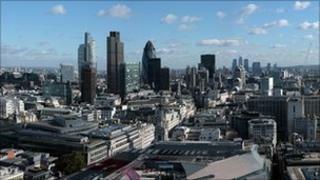 Smaller UK firms - including some banks as well as hedge funds and asset managers - are exempt from some rules. These include a rule that puts a tighter cap on the proportion of bonuses paid in cash, the FSA said. Those firms also will not be required to have a UK-based remuneration committee. The FSA's previous code only applied to 26 banks - however 2,700 firms which it regulates will have to abide by the revised code. A rule that applies to all firms is that any guaranteed bonuses must be applied across a company - not just certain divisions. Financial institutions already covered by the FSA's existing code will be required to implement the rules by 1 January, meaning they will affect bonuses for the current year, which will be paid out in January and February. Other firms that are coming within scope of the rules for the first time must comply by 31 July at the latest. There has been widespread anger amongst many politicians as well as the public over bankers' pay. On Friday, Deputy Prime Minister Nick Clegg issued a fresh warning to banks over excessive bonuses and the need to boost lending to small firms. The deputy prime minister told the Financial Times that the government would not "stand idly by" if bonuses paid early next year were unacceptable. Last week, the CEBS code was met with surprise by the British Bankers' Association. It called it a "dramatic" change compared with earlier proposals from a meeting of G20 leaders - raising fears that bankers may emigrate to more lightly-regulated countries. And after the release of the FSA's revised code, the BBA said that until there was "a genuinely global consensus on pay in financial services, the challenge for policymakers will be to ensure the UK continues to attract this valuable business".